Watersheds, supplying crucial ecosystem services to humans, seem to be a logical territorial unit to integrate societal benefits and environmental needs in order to evaluate the sustainability of natural resource use patterns. 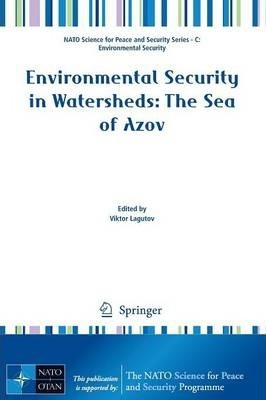 Based on this belief the book is an attempt to initiate a comprehensive environmental security assessment in the basin of the Azov Sea, shared by Russia and Ukraine. Though the region provides a variety of essential services and plays a strategic role in national and international development plans, it has been excluded from most regional environmental discussions. At the same time there is an alarming degradation rate of basin freshwater ecosystems that has occurred due to overutilization of certain prioritized services (e.g. transportation). The collapse of neglected services (e.g. fishery and freshwater supply) poses serious threats to the national economies as well as the local population, and to mitigate these threats priority in water management should be given to securing sustainability of the regional freshwater ecosystems. In addition to the review of the current status of Azov ecosystem services, the authors analyze likely future availability and challenges. The relevant experience derived from basin management of the Black Sea and other similar basins is also discussed.